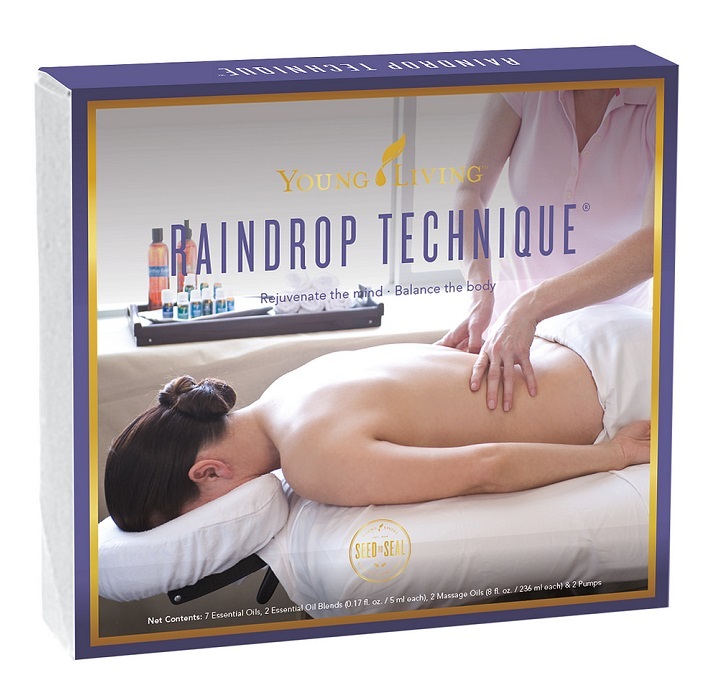 The Raindrop Technique was devised during the 1980s by D. Gary Young when he set out to develop a technique that would apply the therapeutic energy of essential oils through massage. The technique itself is comfortable to receive and easy to apply once learned. It uses a sequence of essential oils that work together to assist the body in its natural defenses. With this technique, the oils are dispensed like raindrops about six inches above the back, and then lightly massaged along the vertebrae and back muscles. The entire process takes about 45 minutes, and can be repeated as needed. In addition to these single oils, the blends Valor and Aroma Seiz are also used. Many people have found the Raindrop Technique to be an effective way to not only enhance a massage, but also support the body's natural functions to sustain good health. We've used the Raindrop Technique many times in our own home for that very purpose. And whenever I experience a 'raindrop massage,' it's always invigorating and relaxing. I know of many others who have applied the Raindrop Technique at home as well. The Raindrop Technique is a safe and powerful way to help maintain normal functioning of the body... and it's not surprising that there's a growing interest in learning more about it. This is something your massage therapist may be interested in as well.